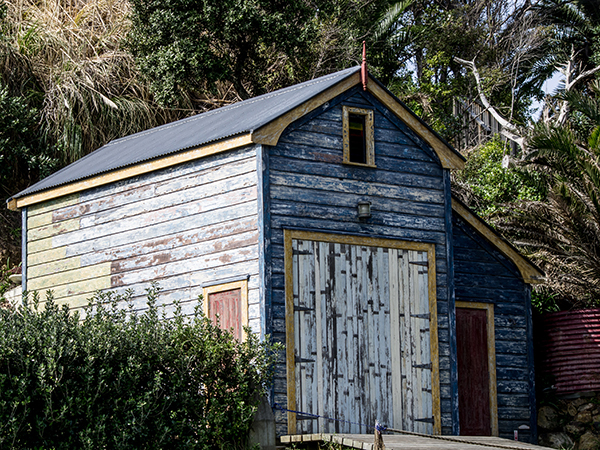 On Waiheke Island there are some words painted on a wall near one of the many bays on the island that read, “All you need is love“. 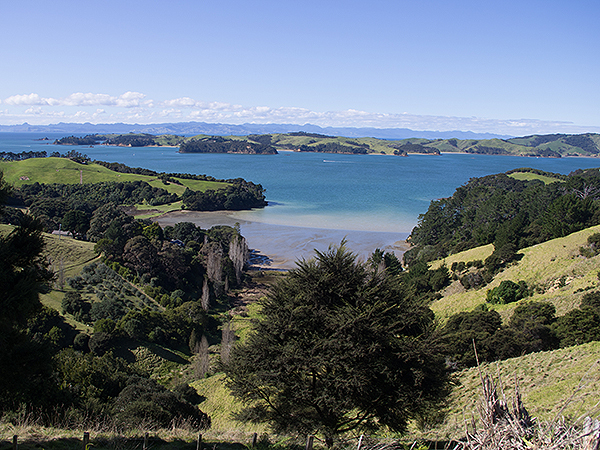 Little did we know when we accepted this house sit that we were going to fall in love with this enchanting island just 45 minutes by ferry from downtown Auckland situated in the Hauraki Gulf. 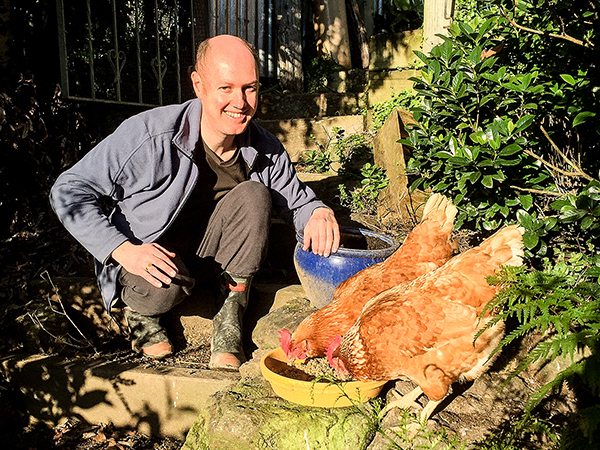 Our house sit here included looking after Annette’s home and her gorgeous dog “Cricket” and her two rescue chickens “Penelope” and “Susan”. 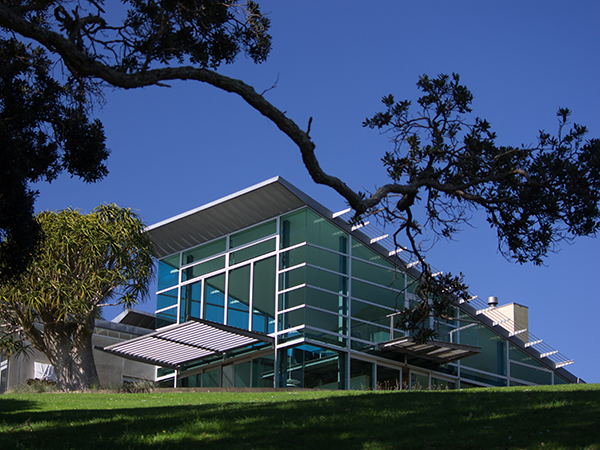 Annette’s home is situated in Rocky Bay, which is in an area of Waiheke that is right away from the tourist areas of the island. Annette is the owner of “The Doggie Depot” which is a doggie daycare centre based in Surfdale on the island. 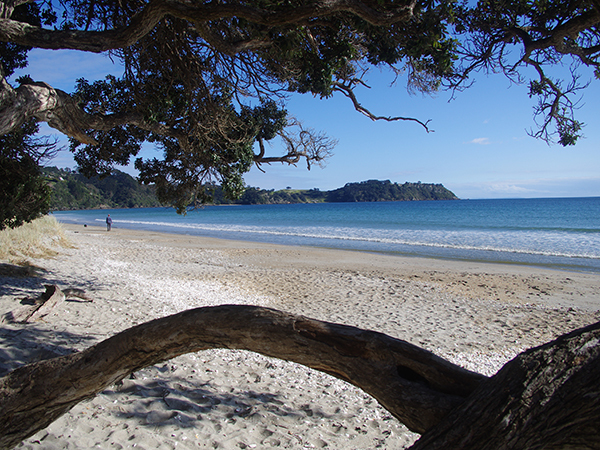 Waiheke Island is the second-largest island in the gulf, after Great Barrier Island. It is the most populated, with nearly 8,730 permanent residents plus another estimated 3,400 who have second or holiday homes on the island. 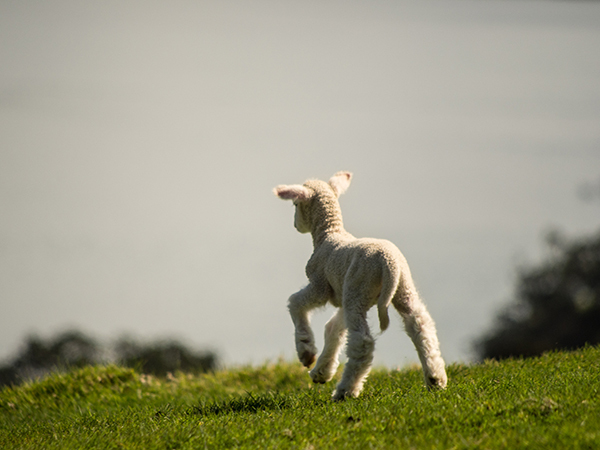 It is New Zealand’s most densely populated island, with 93 people/km², and the third most populated after the North and South Islands. 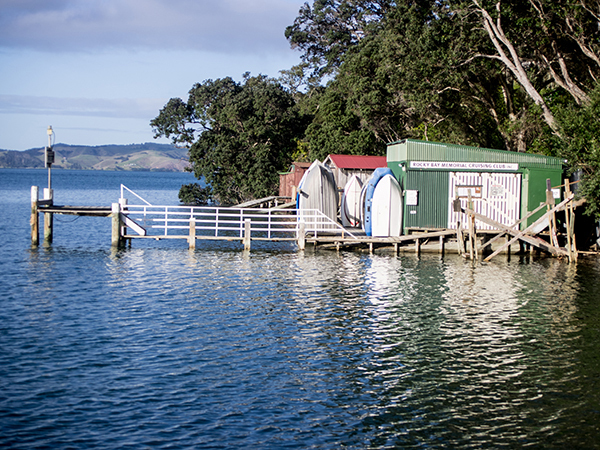 It is the most accessible island in the Gulf, with regular passenger and car ferry services, a Waiheke-based helicopter operator, and other air links. 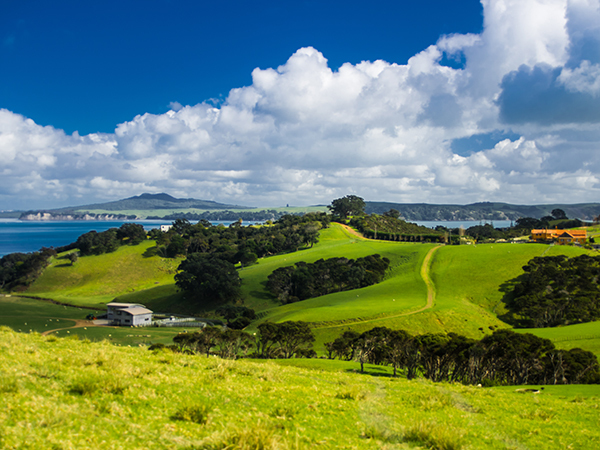 In November 2015, Waiheke Island received international attention when it was rated the fifth best destination in the world to visit in 2016 by Lonely Planet and also voted the fourth best island in the world in the Condé Nast Best Islands in the World List. The thing that struck us the most apart from the scenic beauty of the island was the friendly local people. 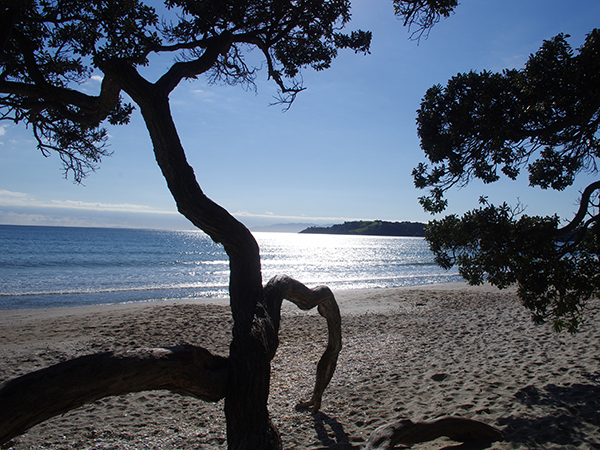 Almost everyone on Waiheke has come from somewhere else, either in New Zealand or from overseas. The place kind of puts a magic spell on you that just makes you want to stay. 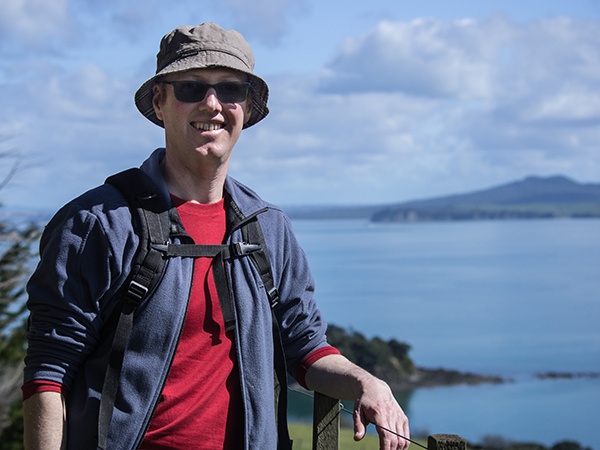 A lot of the residents work in Auckland city so it is a 40 minute ferry ride commute each way but hey, what a way to be able to commute to work – beats sitting in the traffic like we used to do in Sydney. The island is famous for it vineyards and locally produced wines. There are more than 26 vineyards scattered across the island. One thing that amazed us about the island is the diverse environment. 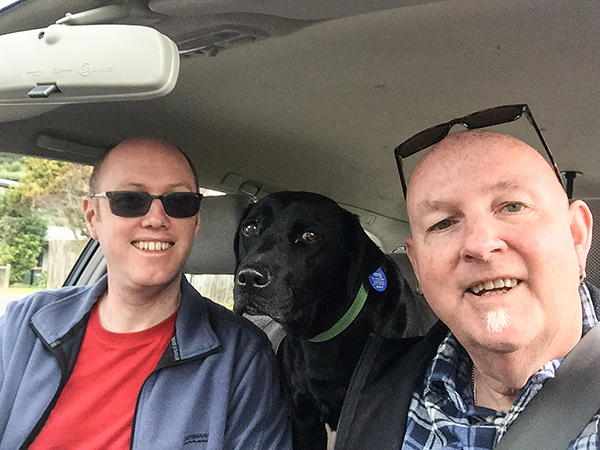 You can take a 30 minute drive across the island and you can go from native bushland to rolling pastoral land right down to the ocean, beautifully manicured wineries to beautiful sandy beaches. This place just has it all! There are some great walking tracks scattered across the island. You can choose from a short half hour walk to a half day trek around the coast of the island. It’s a great way to see what is tucked away and is only accessible by walking. 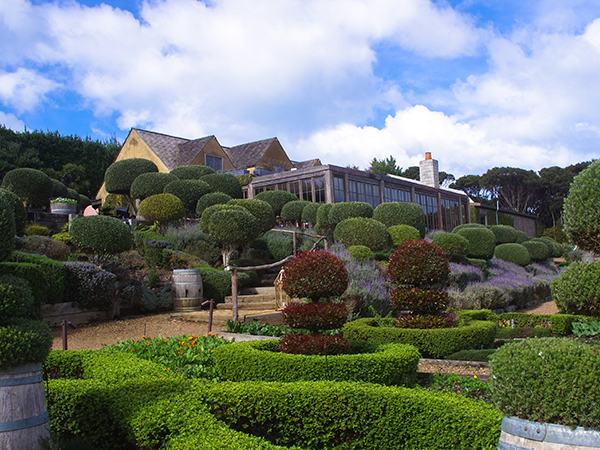 The other thing we liked so much about Waiheke is the quirkiness of the place. 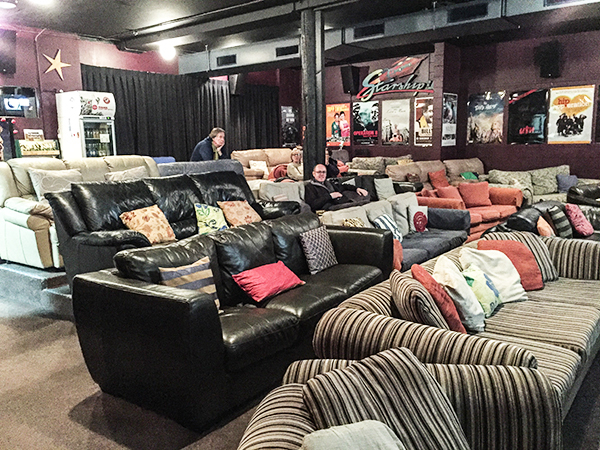 The local cinema which screens mainstream and art house films has an assortment of lounge suites as the cinema seating. It’s just like watching movies at home but with a full sized movie screen with surround sound. 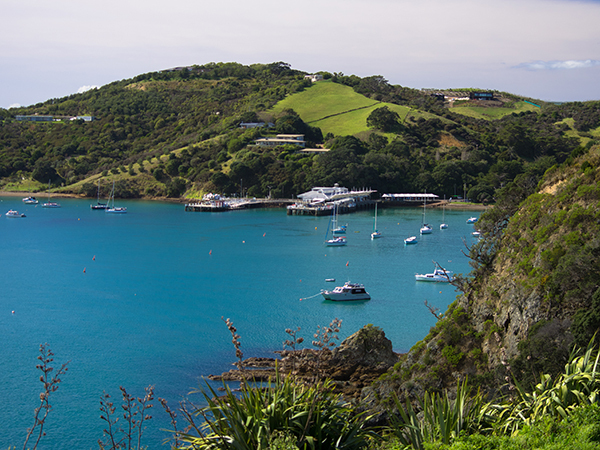 It’s hard to believe when you are on Waiheke Island that there is a big city within easy reach just across the gulf. 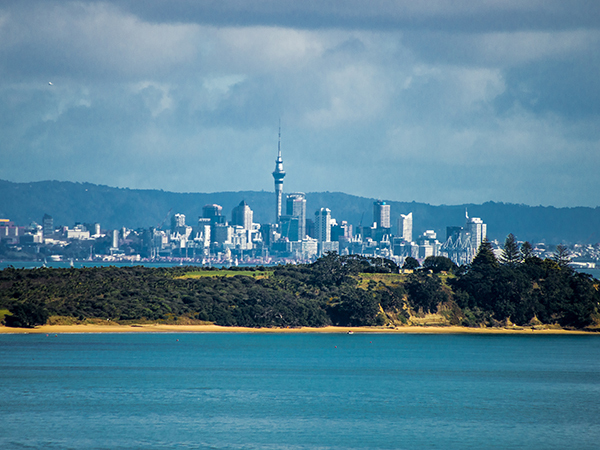 There are some great vantage points on the island where you can see Auckland city in the distance and know that if you want a “city fix” that it is only a 45 minute ferry trip away. This is an island of many contrasts, from the original longtime “hippy” locals to the “new money” residents with their multi million dollar homes. Somehow it all seems to blend and there is plenty of room for all types of people from various backgrounds and social standing. 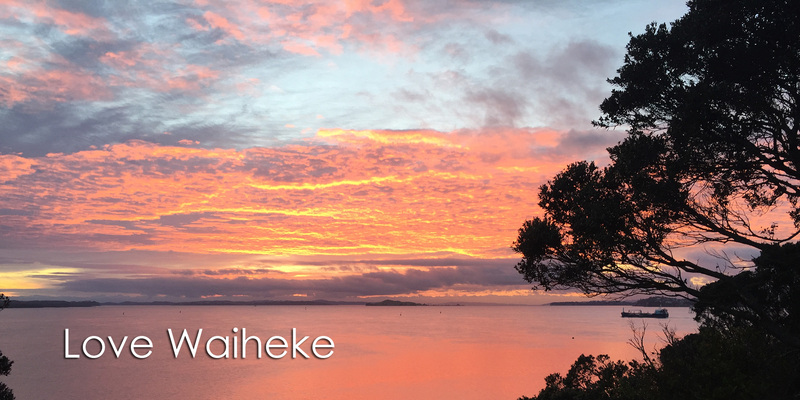 But they all have one thing in common – they all “Love Waiheke”!